The Adventures of Espy - Single Tracking Santa Cruz Style! You are here: Home / ESPY / The Adventures of Espy – Single Tracking Santa Cruz Style! 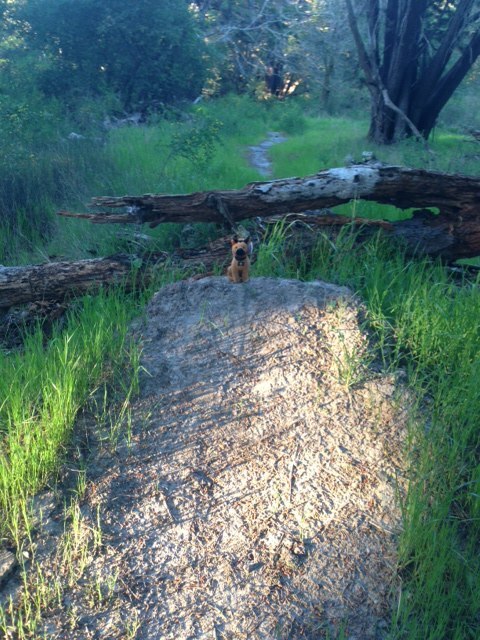 One of my favorite things to do with my Best Friend is ride the beautiful trails of Santa Cruz. 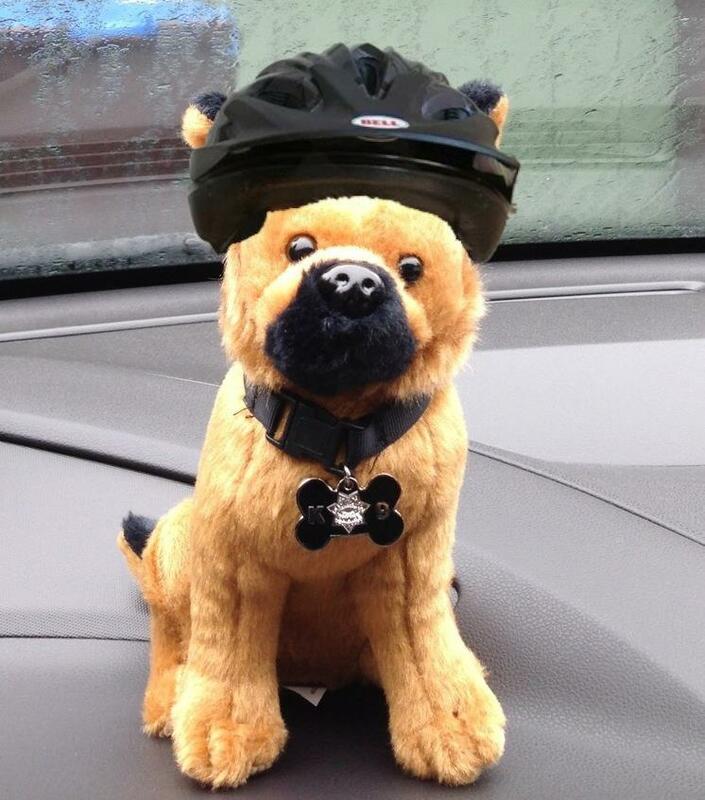 As you can see safety first for me, always wear your helmet. My Best Friend and I love doing to DeLaveaga to ride. As you can see I measure the jumps. I love being out in our open spaces. Did you know that Santa Cruz boasts some of the World’s Best in biking. We are so lucky to have great trails and a thriving bike industry. The new multi-use Emma McCrary trail opens on June 1st in the Pogonip. It will link up a huge loop. If you start at the parking lot at Gateway you can ride down the levee, up to the Pogonip, into UCSC, over to Wilder Ranch, down to West Cliff Drive, past the Boardwalk and than back on the levee. 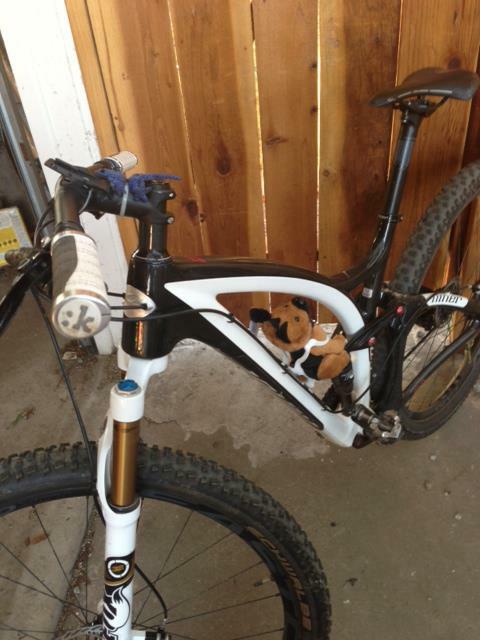 My Best Friend is so excited that she gave me a seat on our mountain bike. I do wish I could get a better view. This one is questionable and certainly not always PG rated. I am excited about my new helmet and seat. 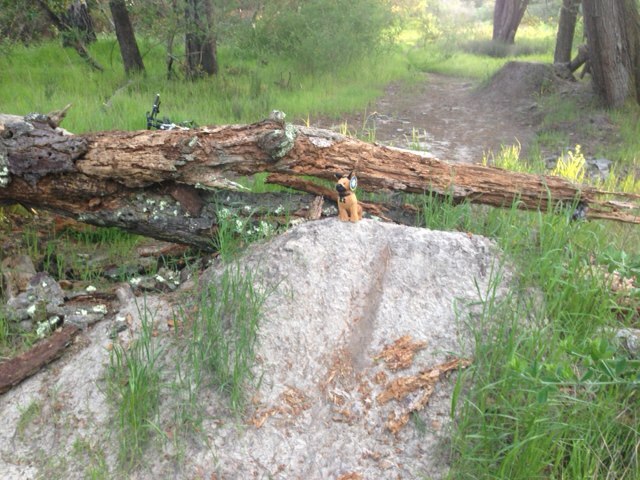 I would say that my Santa Cruz dog training is right on course. I am going to learn all that the people of this awesome community love to do and this seems like an important part of it. I knew those mountains had more than just lions in them. 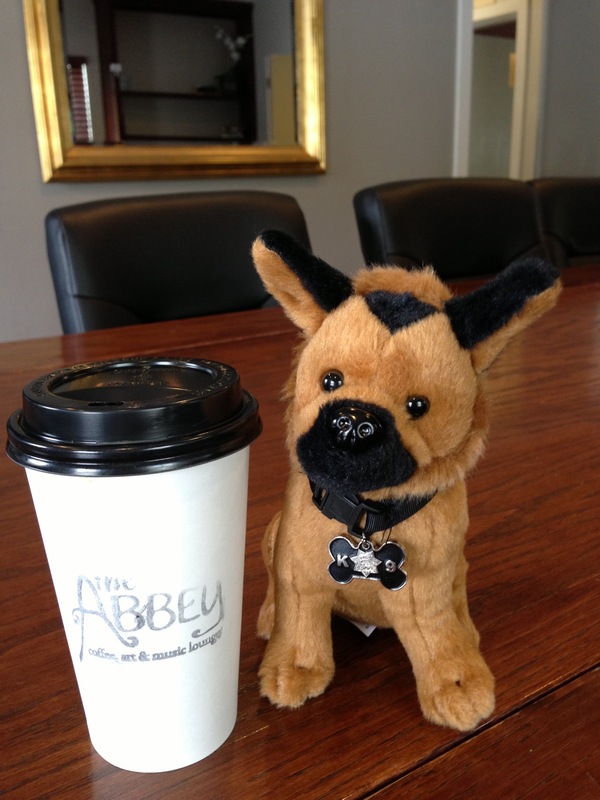 After a long ride we stopped in at one of our favorite local coffee shops The Abbey located at Vintage Faith Church. I’m one happy SC K9! !